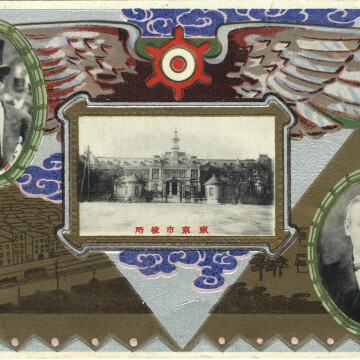 Tokyo City self-government commemoration, 1919. 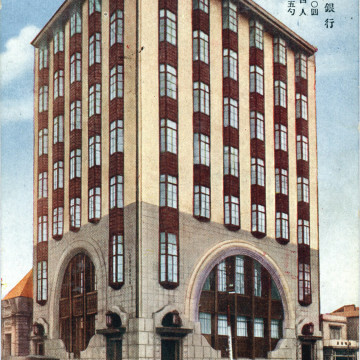 Imperial Hemp Building, Nihonbashi, c. 1930. 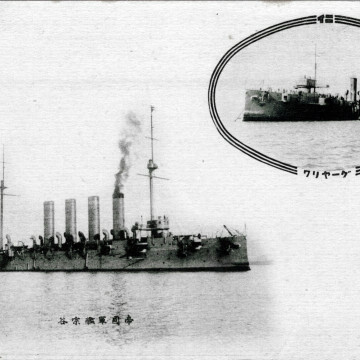 Imperial Japanese Navy Cruiser “Soya”, c. 1910. 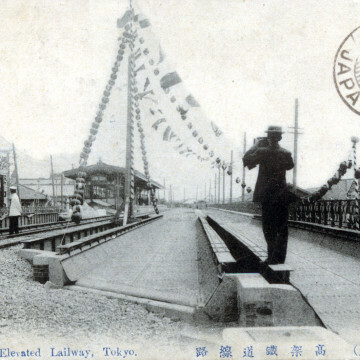 Yurakucho (Tokyo) Station opening, 1910. 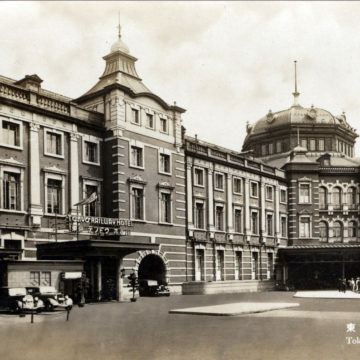 Tokyo Station Hotel, c. 1920. 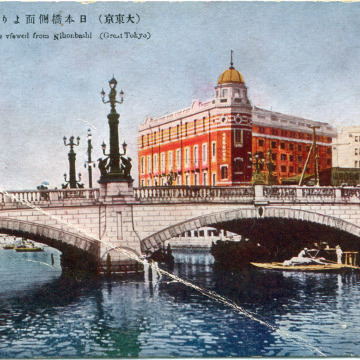 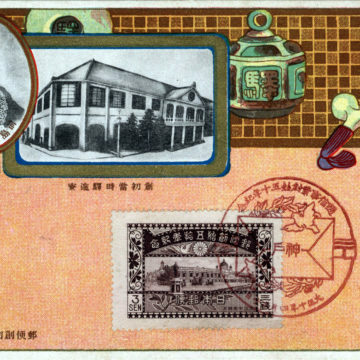 Yamaguchi Bank Building, Nihonbashi, c. 1920. 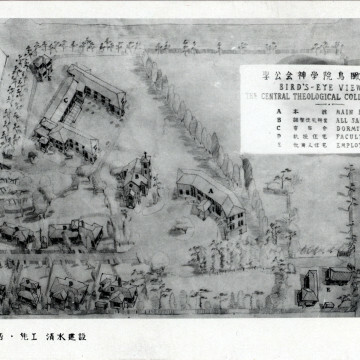 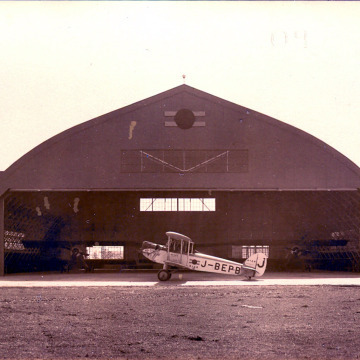 Central Theological College, Setagaya, Tokyo, c. 1950.